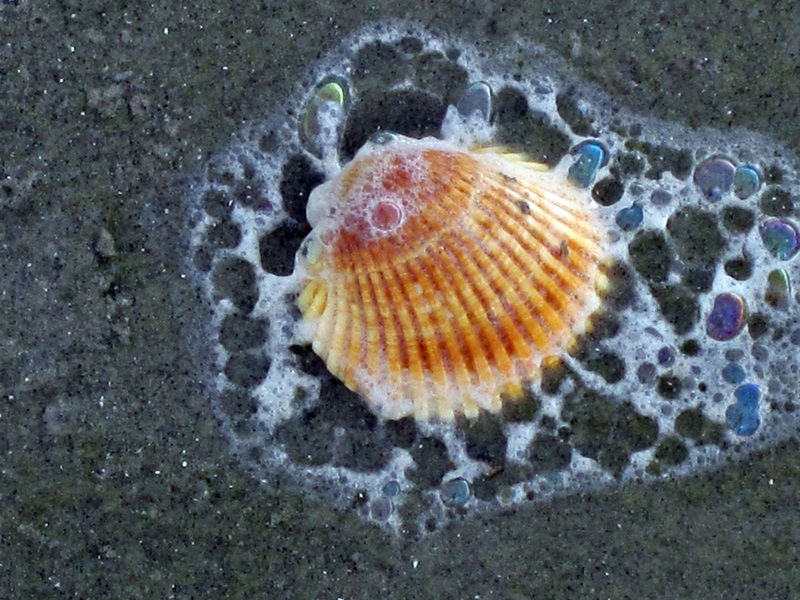 The tide recedes, but leaves behind bright seashells on the sand. The sun goes down but gentle warmth still lingers on the land. The music stops, yet echoes on in sweet, soulful refrains. For every joy that passes, something beautiful remains. Nicely done. The ocean is also my go-to place for inspiration. Thank you! I have always loved being near the ocean. It does inspire and so much more. Like the colours in the bubbles as well as the central object. Thank you! Yes, the colors of nature are truly beautiful to see. Love how you got the foam in there.